Our product range includes a wide range of hot die steel h13, hot work tool steel, h13 hot die steel rod 1.2344 din, db6 1.2714 die block steel, hot die steel h11 and orvar 2m steel round bar. Because of its high toughness and very good stability in heat treatment, H13 is also used in a variety of cold work tooling applications. In these applications, H13 provides better hardenability (through hardening in large section thicknesses) and better wear resistance than common alloy steels such as 4140. Also available as Electro-Slag-Remelted (ESR) and Vacuum-Arc-Remelted (VAR) products as well. The remelting processes provide improved chemical homogeneity, refinement of carbide size, and the associated improvements in mechanical properties and fatigue properties. APPLICATIONS: Inserts, cores, and cavities for die casting dies, die casting shot sleeves, hot forging dies, extrusion dies, and plastic mold cavities and components that require high toughness and excellent polishability. We have gained a prominent place in the construction market by offering a perfect array of Hot Work Tool Steel for Construction Site. These products are made through utilizing best-in-class raw products and by using modern machinery & tools. For the careful analysis of process we have hired quality controllers who check the entire product range on market norms. Additionally, we secure great experience in the domain that enables us to deliver excellent product range within the specified time frame. Our product range includes a wide range of h13 hot die steel rod 1.2344 din, 1.2714 db6 & h13 hot die steel plates & blocks, hot work tool steel bar, hot work tool steel, hot work die steel and hot die steel h11, h21 etc. 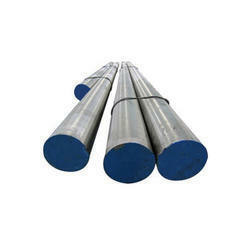 H13 chromium hot-work steel is widely used in aluminum extrusion dies, pipe manufacturing, aluminum profile die manufacturing, hot and cold work tooling applications. Due to its excellent combination of high toughness and fatigue resistance H13 is used more than any other tool steel in tooling applications. The following table shows the chemical composition of H13 tool steels. The physical properties of H13 tool steels are given in the following table. The mechanical properties of H13 tool steels are tabulated below. The following table shows the thermal properties of H13 tool steels. The machinability rate of H13 tool steels is nearly 75% of that of the W group tool steels. H13 tool steels are formed by using conventional methods. H13 tool steels are readily weldable. H13 tool steels are preheated to 816°C (1500°F). Then the steels are directly heated by increasing the temperature to 1010°C (1850°F) followed by holding for 15 to 40 mins. The steels are then air-quenched. 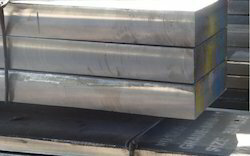 H13 tool steels are forged at 1079°C (1975°F). 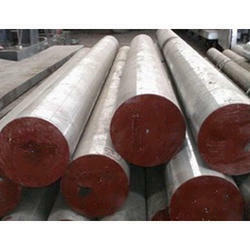 For this type of steels, forging below 898°C (1650°F) is not preferable. H13 tool steels are annealed at 871°C (1600°F) and slowly cooled at 4°C (40°F) in the furnace. Tempering is carried out in H13 tool steels from 538 to 649°C (1000 to 1200°F) to obtain Rockwell C hardness of 53 to 38. 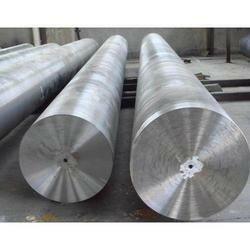 Double tempering can also be performed in these steels for every one hour at the preferred tempering temperature. 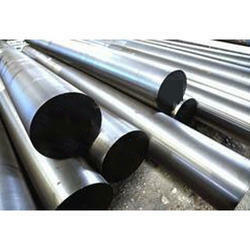 Hot work steel that can be used for a wide range of applications. With good through-hardenability, tempering resistance, toughness, pressure and heat resistance. Delivery condition: annealed. Working hardness: approx. 40-54 HRC. The Tool Steel BS 1.2714 is suitable for the following applications: Forging dies, slides, punch heads, extruding stamps, press tools, hot shear knives, extrusion press tools, die holders, support tools, tool holders, pressure plates, armoured die plates. Hot Die Steel H11 1.2343 are subjected to minimal distortion during hardening due to their balanced alloy content. The tools produced from chromium hot-work steels can be cooled using water without damage as these steels have low carbon and alloy contents. Hot work tools operate at elevated temperatures and form different products in e.g. aluminum, steel or other metals. Our business practice is to offer tooling solutions to the hot work industry with the goal of increasing productivity and optimizing tool life.